Christian Kofi Nsiah was born on October 24, 1953 to Opanyin Kwame Adanse Pippim of Atonsu, Kumasi and Madam Agnes Amma Serwaa Nsiah of Kaasi, Kumasi in Ashanti Region, both of blessed memory. He attended Kaasi Roman Catholic Primary School from 1959 to 1962, and then continued at Asokwa Presbyterian Primary from 1963 to 1965. He then went to Asokwa-Amakom Local Authority Middle School from 1966 to 1969. Due to financial constraints he couldn’t attend Secondary School, even though he successfully passed the then Common Entrance Examination on two occasions. He underwent apprenticeship as a Saw-Doctoring Technician at the S. E. A. Timber Industry (Samuel Ernest Amankwaa Timber Industry), one of the leading sawmills in Kumasi, where he graduated and was employed in the same company. Through hard work and perseverance, he was recognized as one of the leading Saw-Doctors in both Ashanti and Brong Ahafo Regions from 1972 till 1992. Christian gave his life to Christ in The Church of Pentecost on August 31, 1976 during a 3-Day Gospel Rally of the Witness Movement held at Kaasi, chaired by Apostles F. S. Safo and F. D. Walker (both deceased). He was baptized by Pastor Emmanuel Kwadwo Kyei of blessed memory on September 8, 1976. In 1982, Christian Nsiah was called to the office of a Deacon on the recommendation of the then Kumasi South District Minister, Pastor Opoku Onyinah (now Chairman of the Church) and ordained by the Regional Head, Apostle Fred Stephen Safo, (deceased) who later became the first African Chairman of the Church. A year after, he was ordained as an Elder by Apostle E. D. Aninkorah (of blessed memory) assisted by the then Ashanti Regional Head. 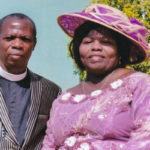 Christian Nsiah got married to Miss Grace Amma Omena Fordjuor on April 6, 1976 at Kaasi. Their quest for children hit the rocks for more than eight years until the Almighty God intervened and blessed them with three male children. Christian Nsiah was called into the full-time ministry of the Church through Apostle Samuel Kofi Ansong (rtd), upon the recommendation of Pastor S. R. Odum (now a retired Apostle) who was then the District Minister of Asokwa District, while serving as the Presiding Elder of the McKeown Temple, Asokwa in 1993. He attended the Bible Training Institute of the Church at Madina in 1993 and was posted to Akwapim Adawso in the then Eastern Region “A”, now Koforidua Area, as a Probationary Overseer. He was confirmed as an Overseer	in 1995, and ordained as a Pastor in 1998 by Apostle Robert Acquaah (rtd). Indeed, Pastor Kofi Nsiah could not have had a successful ministry without the support of his hardworking wife, Mrs. Grace Nsiah who distinguished herself as a true Minister’s Wife. Together they served at Akwapin Adawso (1993-1999), Wassa Simpa (1999-2005), Assin Akonfudi (2005-2010), Ablekuma (2010-2014) and finally Chemunaa (2014-2018). 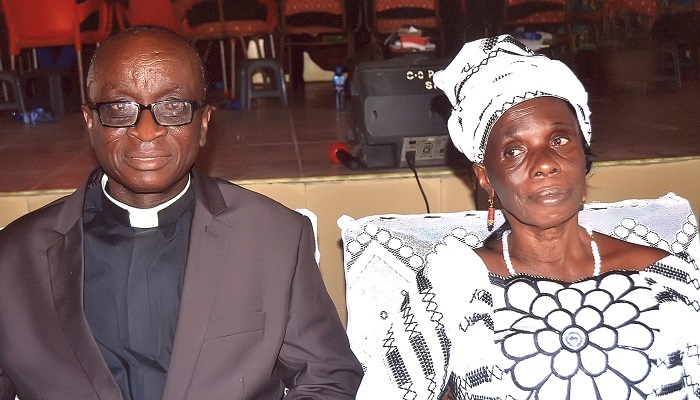 A retirement service would be held in honour of Pastor Christian and Mrs. Grace Nsiah on Sunday, July 29, 2018, at the Chemunaa Central Assembly in the Dansoman Area of The Church of Pentecost.